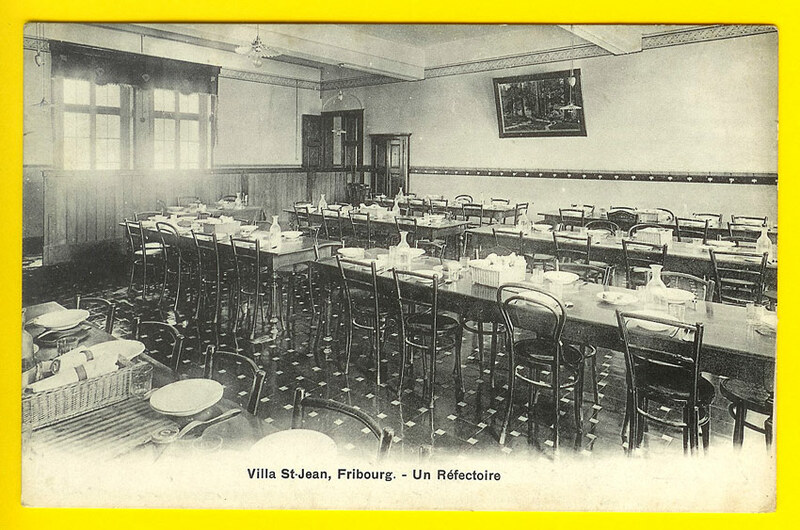 I've watched numerous web sites dedicated to Villa Saint-Jean (with particular kudos to Steve MacIntyre and Kevin DiPalma) become inactive over the past number of years. 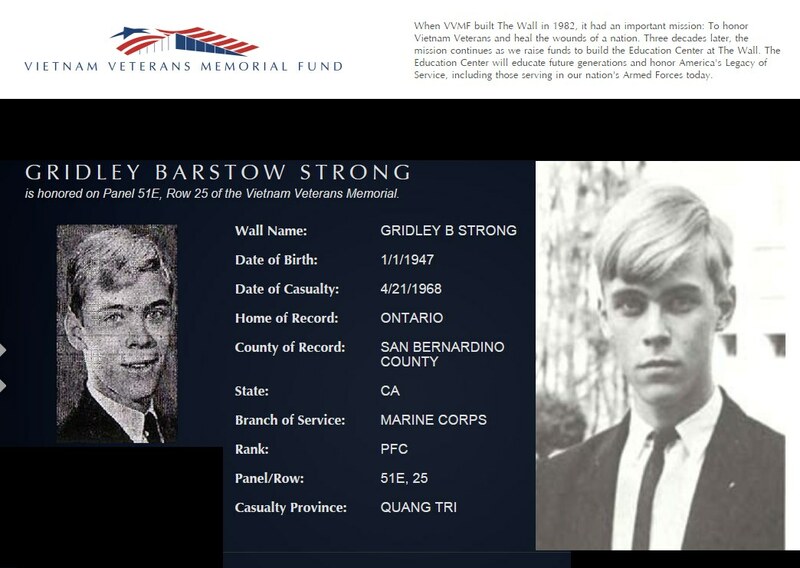 In an attempt to fill some of the holes left with the demise of the former Villa web sites, I decided to piggyback on the web site dedicated to the Brooks family with a separate Villa St.-Jean Section. 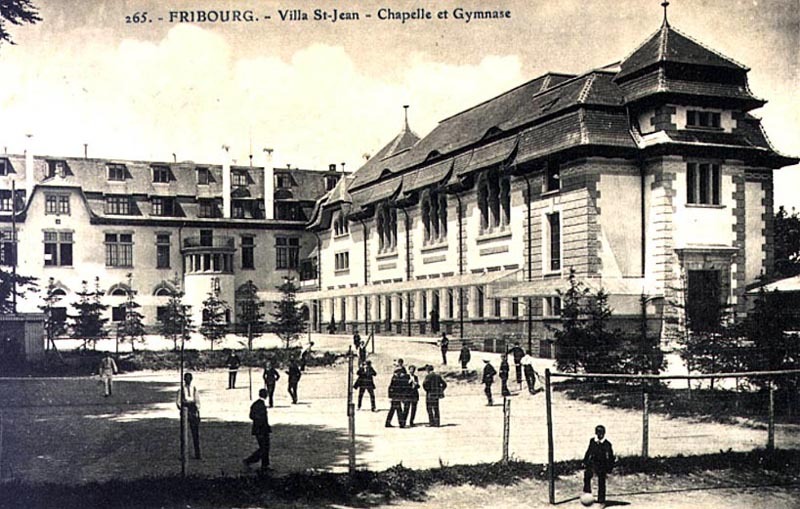 The original intent of this web site was to attempt to document the 1963-1965 time period for Fribourg's Villa Saint Jean International School for boys. 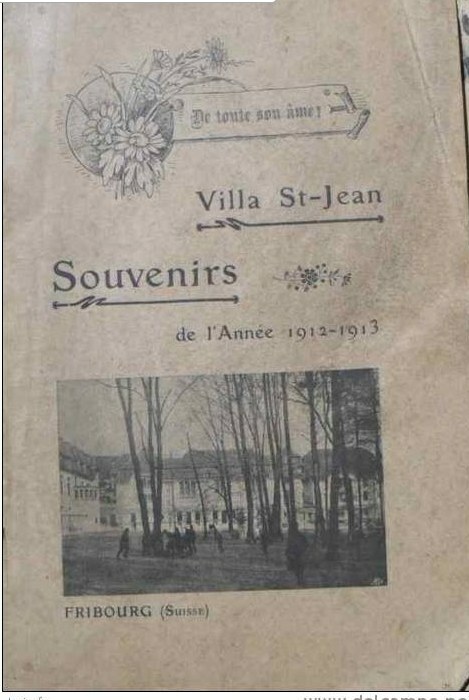 However since the original site was launched I've been fortunate to get a number of Villa Yearbooks, Photos and Commentary from former Villa students from around the world. So the web site has been accordingly expanded. Its remarkable as to some of the off-beat, but still relevant remembrances one has after all of these years! A "miscellaneous" section with PHOTOs and images that were left on the web site "cutting room floor" !! PLEASE USE THE DROP DOWN NAVIGATION MENU ABOVE TO PROCEED TO A SPECIFIC SECTION or SIMPLY USE the "NEXT PAGE" LINK TO MOVE SEQUENTIALLY THROUGH THE WEB SITE. I hope that some of you may find this web site of interest. 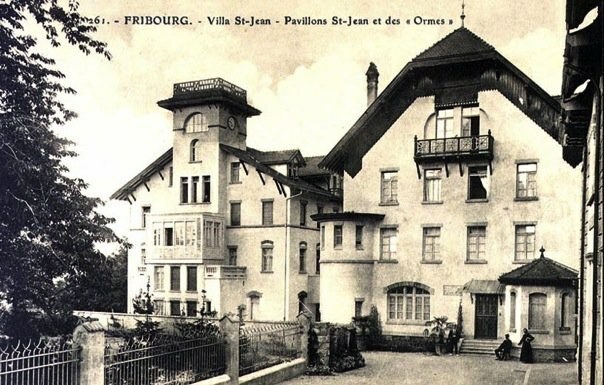 Established at Fribourg (Freiburg in German), Switzerland, in 1903, during an upheaval of anti-clericalism in France, Villa St. Jean was established by Marianists from France as a French College (Villa St. Jean - Collège Français Internationale) with Catholic affiliations as a boarding school for the scions of the French elite. 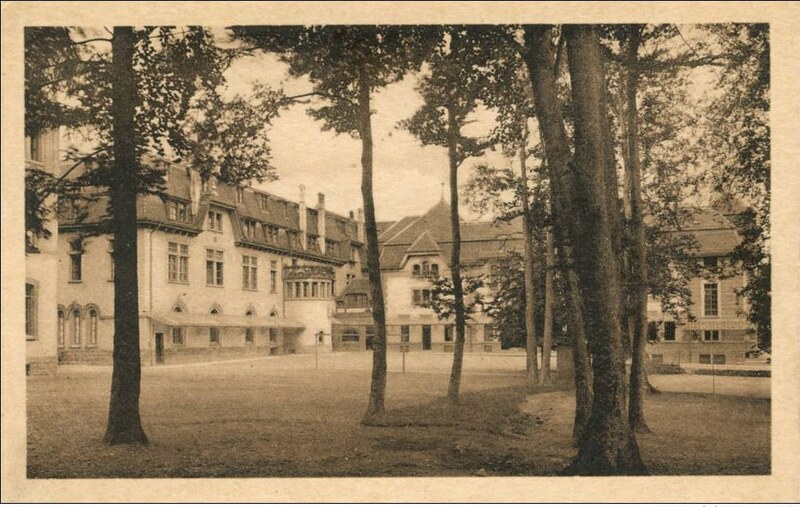 According to tradition, the school's founder, François Kieffer a Catholic priest of the Marianist teaching order, consciously modeled Villa St Jean on Rugby School, then as now an eminent English public school (private school in American parlance), noted at the time for intellectual rigour and rugged sportsmanship. 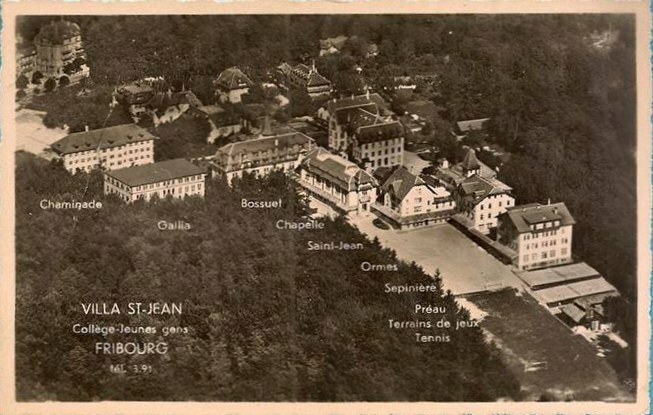 (According to Brother Earl Leistikow, SM - Archivist, Marianist Archives, San Antonio Texas), the choice of the name, Villa St.-Jean is thought to be that St.-Jean (Saint John) is probably referring to a favorite image of Marianist founder Fr. 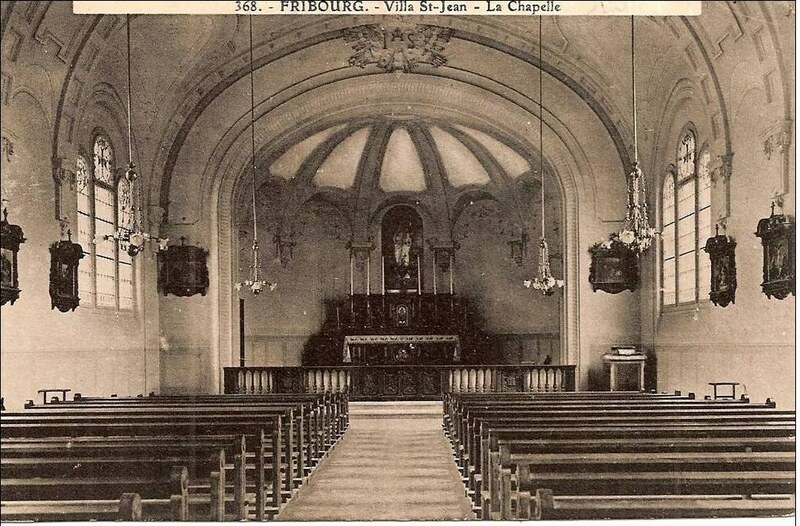 Chaminade - that of St. John and the Blessed Virgin at the foot of the Cross. St. John is one of the principal patrons of the Society of Mary. 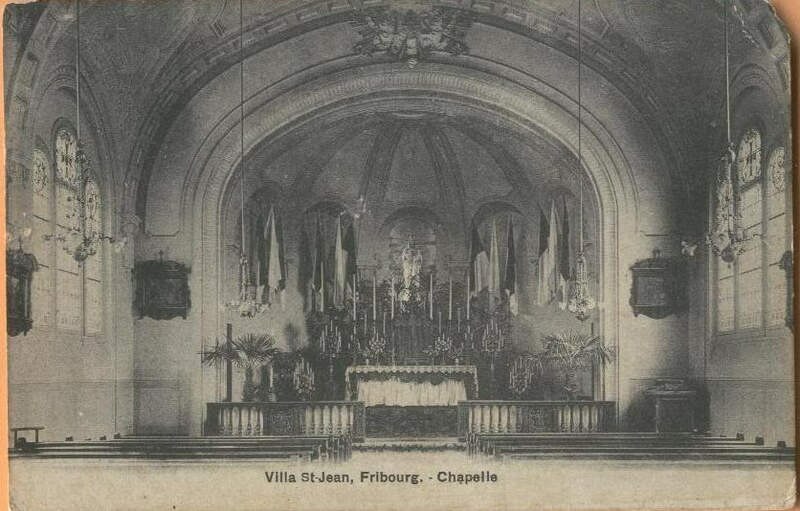 This is believed to be the motivation behind the name of Villa St. Jean. 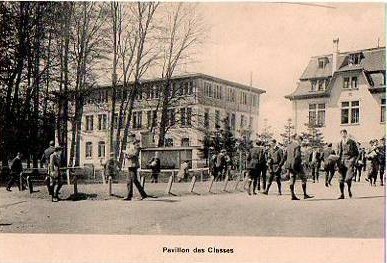 The school’s initial plan was to accept French-speaking students desirous of preparing for the French Baccalaureate degree. 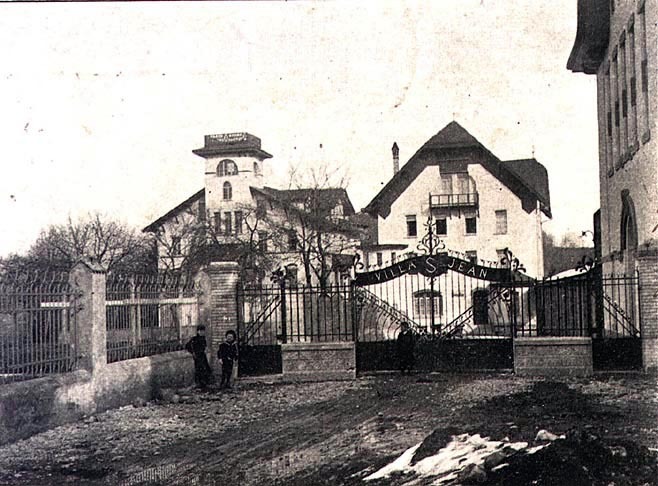 As the Villa’s reputation grew, the school started accepting students from all nations willing to make the effort at learning new languages and eager to benefit from the school’s comprehensive educational environment. 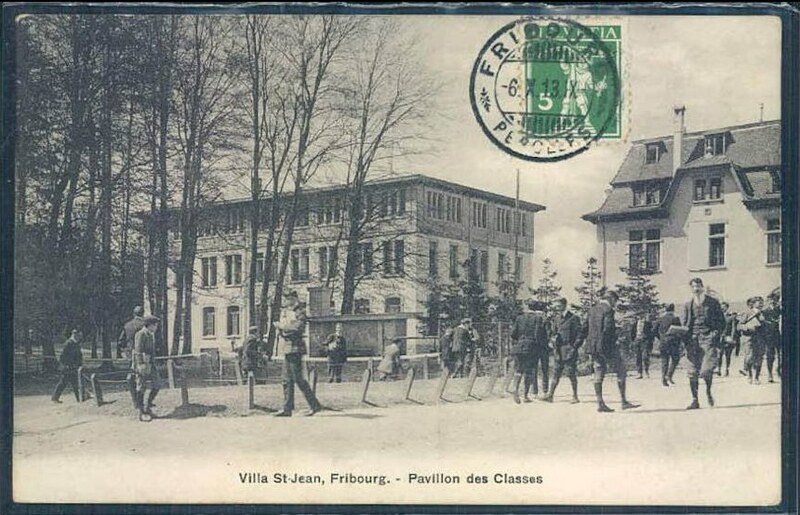 For the 1962-1963 school term, Villa St. Jean - Collège Français Internationale became Villa St Jean International School - an international school educating students from around the world in an American College Preparatory curriculum for boys in the Junior and Senior High School. 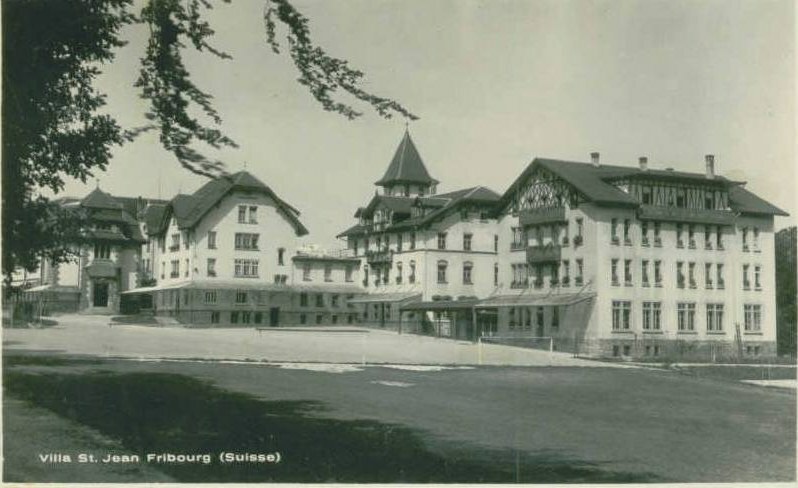 Fr Kieffer built his school on a secluded cliff top bluff, surrounded on three sides by the sinuous Saane/Sarine River, and bordered on the fourth by the quiet neighborhoods abutting the Boulevard de Pérolles, a main thorough fare leading out of the medieval Swiss burg of Fribourg, considered one of the most beautiful cities in the country. With steep cobbled streets, immaculately preserved Gothic houses and numerous fountains, Fribourg is one of Switzerland's most attractive towns. 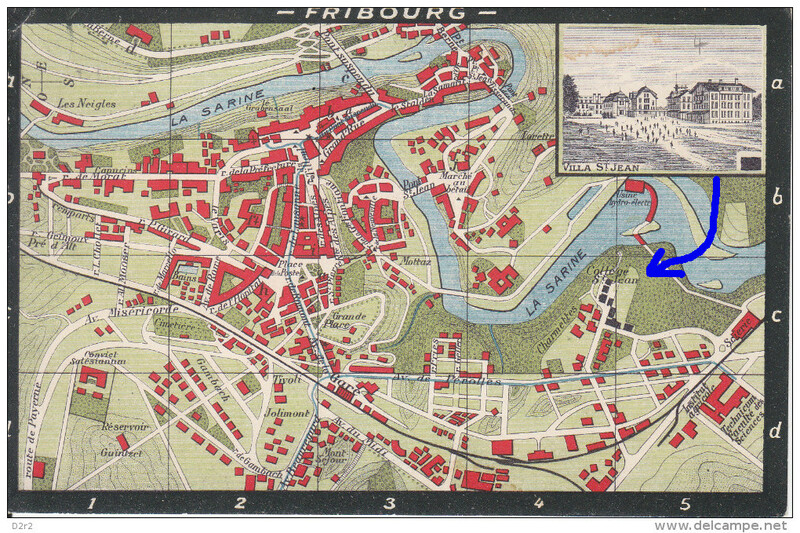 Set on a rocky peninsula within a bend of the River Sarine it was founded in 1157. 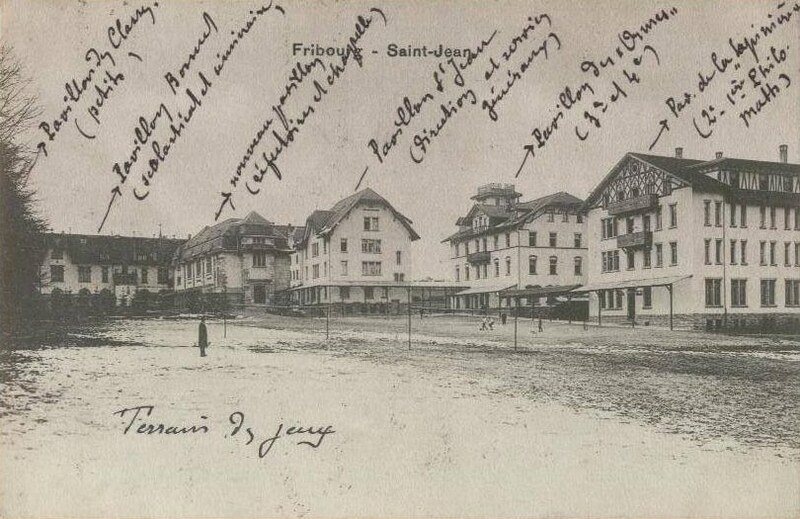 The River Sarine which carves a path through the town, is the local defining line of the Röstigraben: Fribourg is split roughly 70:30 between French Swiss, who call their town "free-boor" and are a majority on the western bank, and German Swiss to whom the place is "fry-borg" and who form a majority on the eastern bank. 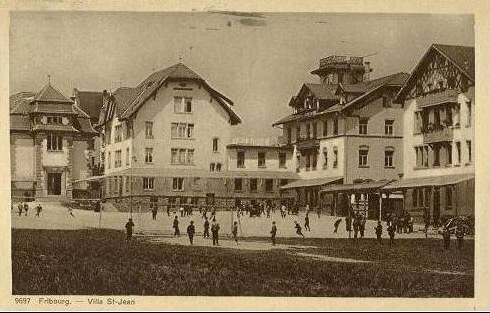 Some old-timers still use the ancient Bolze dialect, a mixture of French and German which can still be heard at the taverns of the Basse-Ville (Lower Town). 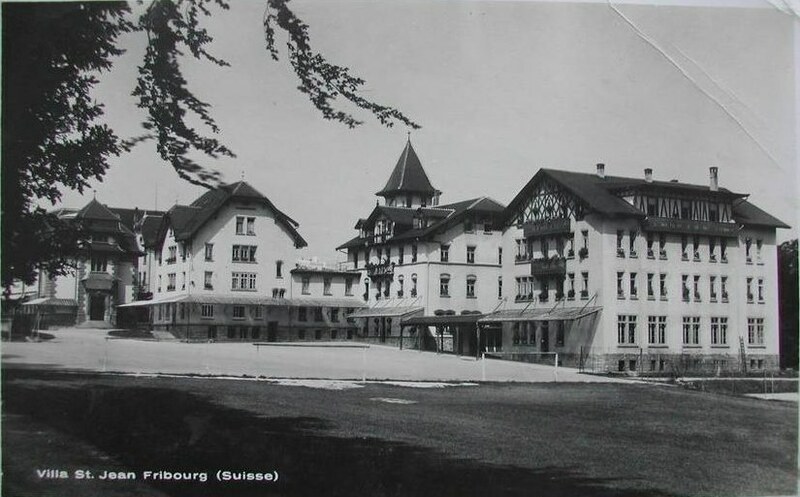 The Villa campus was perched on a flat, wooded plateau, nestled in an elbow high above the Sarine River, which over the eons had carved the bluff's curling cliffs. At its edges, in the woods beyond the unmarked perimeter of the campus, the plateau, gives way to those cliffs which fall 200 feet to the winding Saane/Sarine River below. 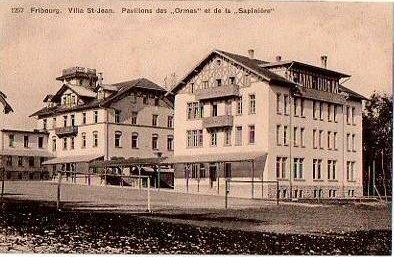 The five Villa Saint Jean buildings were: Gallia, Bossuet, Sapiniere, Ormes, St-Jean and an outdoor sports pavillon made in wood. 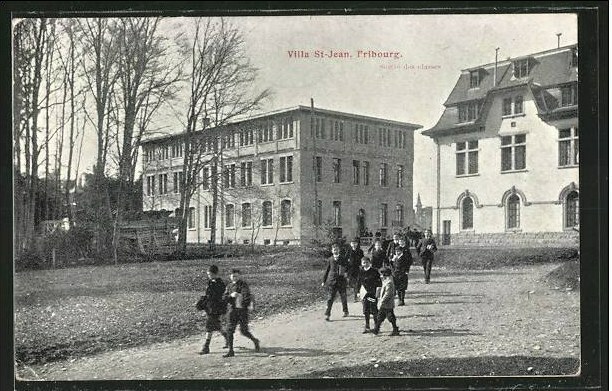 From 1903 to 1962 the Villa remained essentially a Collège Français preparing students for a French Baccalaureate degree. 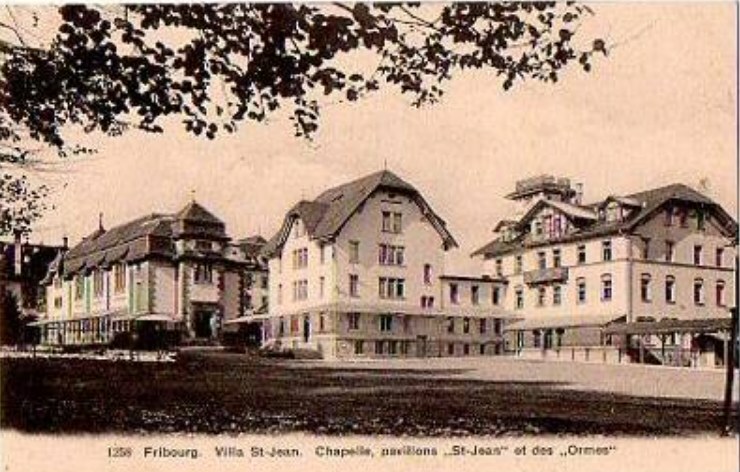 The Brothers of Mary or Marianists who were to run the Villa from 1903 until its closing in 1970, were a religious body of men dedicated towards education. The Marianists, for more than a century, had accumulated a store of experience in the education of youth in various countries of the world. Core to the Marianist Brother’s belief is the importance of educating “The Whole Man” with classroom training augmented by co-curricular and extra-curricular activities which cumulatively educate and nourish the mind, the body, and the soul. 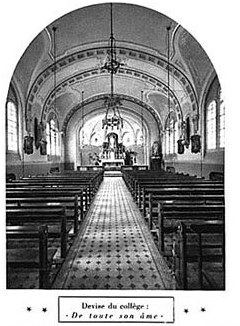 The "Director" (sometimes called Head of Temporalities) was the the superior of the Marianist religious community and had authority within the life of the community, in all that concerned the daily life of religious prayer meetings for religious training, relationship with the major superiors. For example for the 1963-1964 School Year, the Director was Brother Frank Klapp. 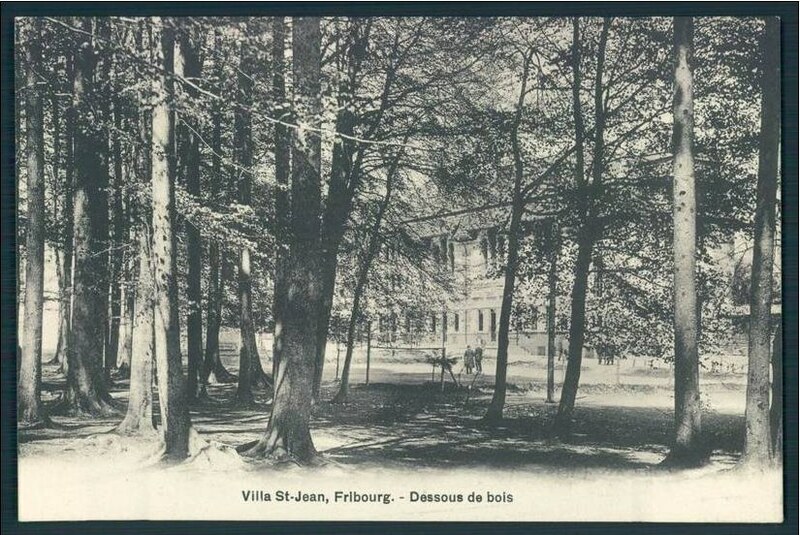 When the Villa was a Collège Français - the Director was formally known as "Monsieur le Directeur". In actual fact the Director was more often known by his nickname :"LE TRONC". This nickname was attached to the function, not to the man. All the teachers knew the nickname, but they would never have mentionned it in front of a pupil. 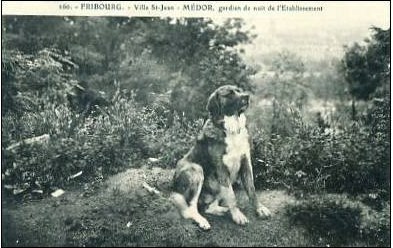 When Jean Marie de Miscault arrived in October 1952, he was referred as "le nouveau Tronc" as opposed to 'l'ancien Tronc", for L'abbé Bernard. It is a mystery when this nickname was applied for the first time or why it was applied - it was just there! Sometimes a Director had a unique nickname, for example Jean Marie de Miscault was known by the nickname "Tartuffe". The "Principal" (sometimes called Headmaster or Head of Education) was in charge of the College and had the academic authority in the governance of the school or college. For example for the 1963-1964 School Year, the Principal was Brother Wilfrid Moran. The "Priest" or "Chaplain" (sometimes called Head of Zeal or later called Head of Religious Life) was in charge of the spiritual, religious life of the local Marianist community and the students. 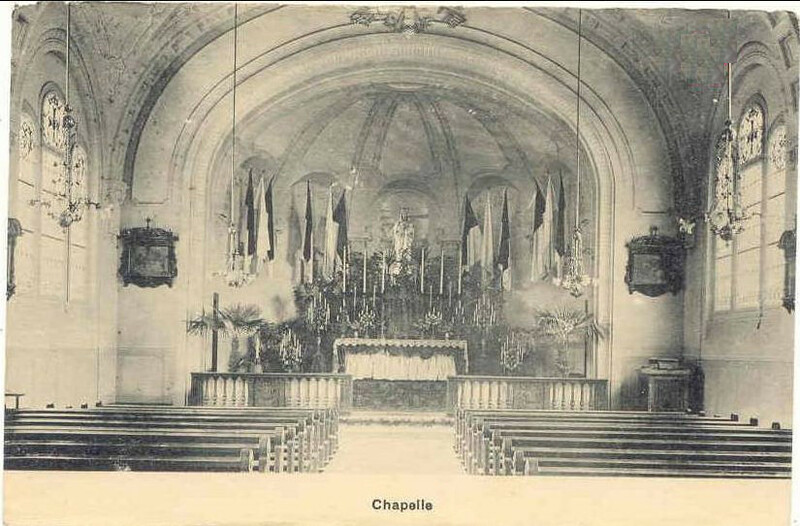 For example for the 1963-1964 School Year, the Chaplain was Father Charles Neumann. 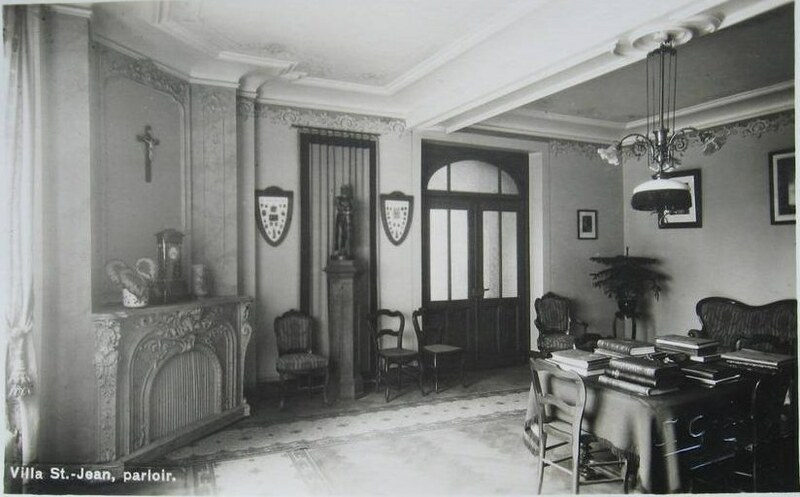 For most of the years that the Villa was in operation, the “Director” and the “Principal / Headmaster” were one and the same person. 1903 - 1918: abbé François KIEFFER, S. M.
1918 -1921: abbé Joseph COULON, S. M.
1921 - 1922: abbé Francis Joseph BEAUMONT, S. M.
1923: Joseph LASSIAT, S. M.
1924 - 1927: abbé Francis Joseph BEAUMONT, S. M.
1928 - 1930: abbé Aloïse FREY, S. M.
1931 - 1935: abbé Pierre Alexis de COURTEN, S. M.
1936 - 1946: abbé Marcel EHRBURGER, S. M.
1946 - 1952: abbé Bernard PETER, S. M.
1952 - 1959: abbé Jean-Marie de MISCAULT, S. M.
1960 - 1962: abbé Joseph ANDLAUER, S. M.
1962 – 1963: Father Louis Blume S.M. 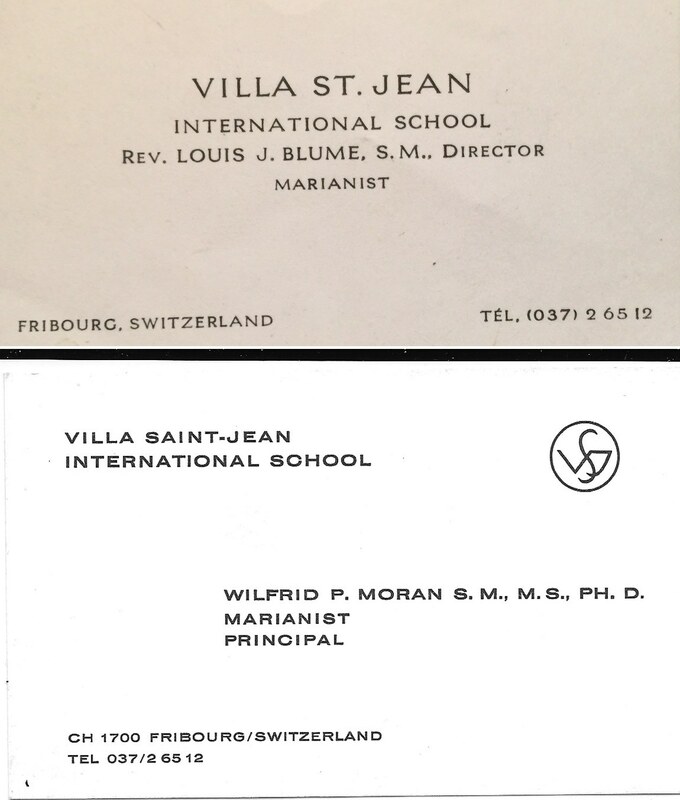 1966 - 1970: Brother Wilfrid Moran, S. M.
The Villa St.-Jean Collège Français was attended by many famous alumni including the recently abdicated King Juan Carlos I of Spain and The Little Prince author Antoine de Saint-Exupéry amongst others. Accordingly the Superior General of the Marianist Brothers transitioned Villa St. Jean to an English "International School" (focused on the American College Preparatory curriculum for boys in the Junior and Senior High School - grades 7 to 12). 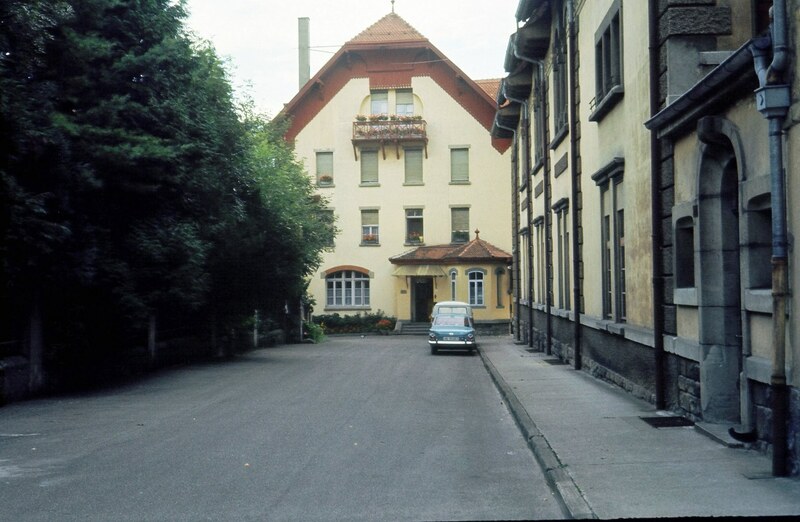 In so doing the church addressed another problem, that of English speaking families living in Switzerland (and the rest of Europe for that matter) who could find no Catholic High School in country. 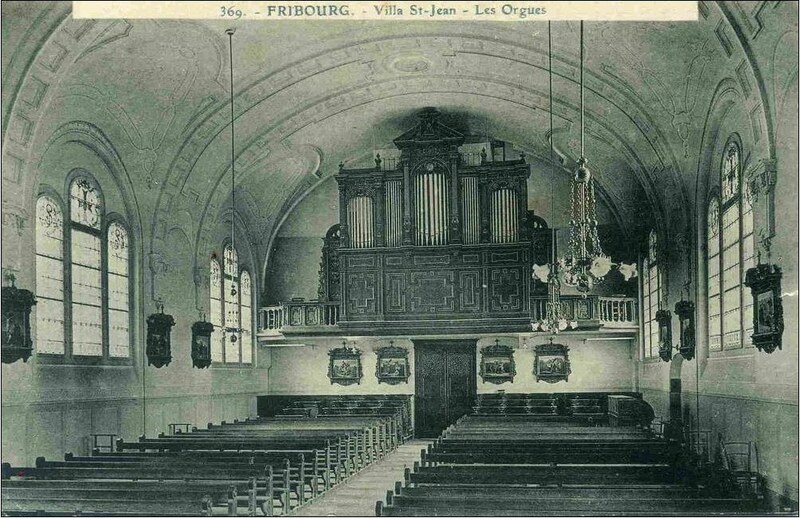 The American Marianists, along with a few lay instructors, took over allowing the French Marianists to be repatriated. 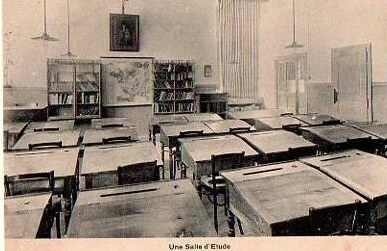 The principal year of transition from French to the United States style curriculum was 1962. Rev. Fr. 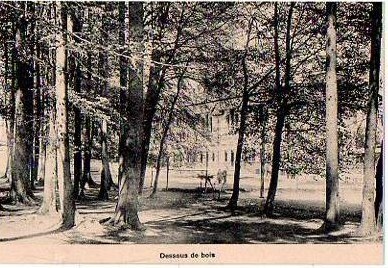 Louis J. Blume become in 1962 the first headmaster of Villa St Jean International School for the 1962-1963 school term. Brother Wilfrid P. Moran would follow in 1963 as headmaster (Principal) until the Villa's closing in 1970. 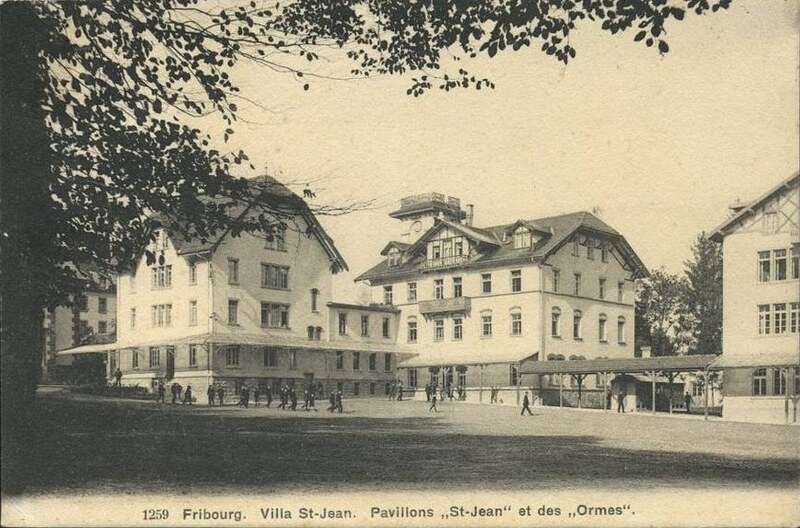 Villa St Jean, under the guidance of the Marianist brothers and priests who founded and administered it, was remarkable among elite Swiss boarding schools for its ability to reinvent itself as required by changing times. 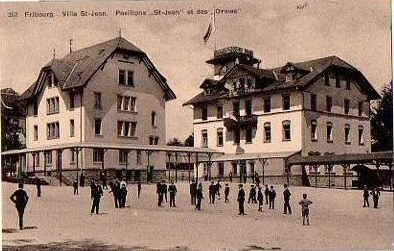 Before the Second World War the school was distinctly Gallic in character, a pensionnat (boarding school) educating mostly French aristocrats, many of whom today recall its sometimes strict ascetism. 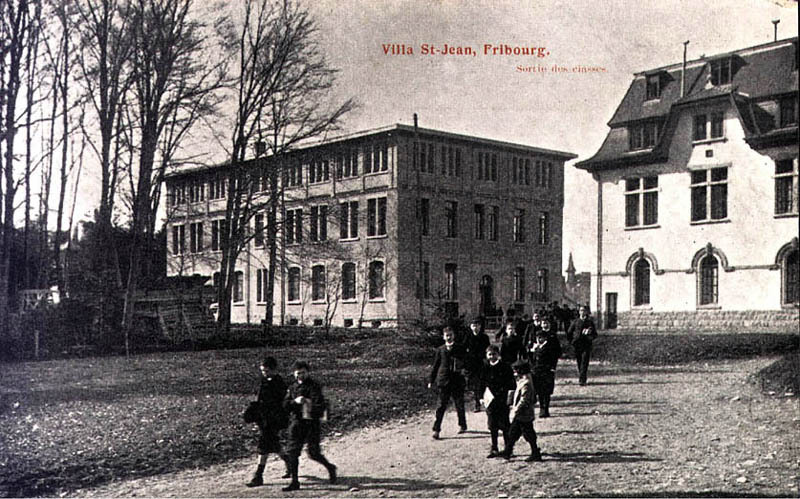 In the decades after the War, Villa St Jean was transformed, and by a decade and a half after the war's end the school had become a metropolitan international institution, teaching principally a U.S. high school curriculum to a student body gathered from Europe, the Americas, the Near and Far East, and conferring on its graduates either a U.S. high school diploma or a Swiss or French baccalaureate degree, as appropriate to the individual student. 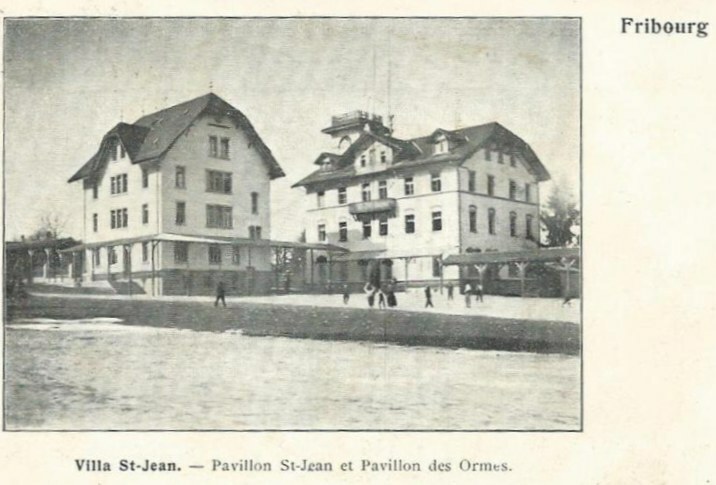 During its incarnation as an international school, although nominally a Catholic institution, the Marianists administering Villa St Jean hired lay faculty and staff without reference to religious affiliation, and admitted students on the same basis. 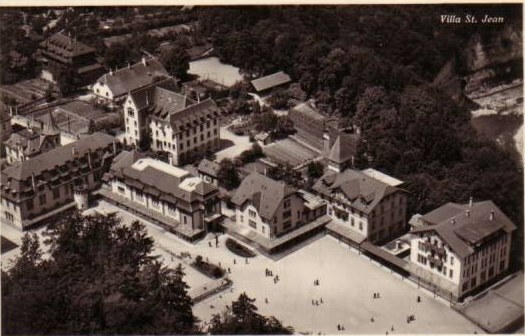 Consequently, the student body was a diverse religious mix of Catholics and Protestants, Muslims and Buddhists, consistent with its international character. 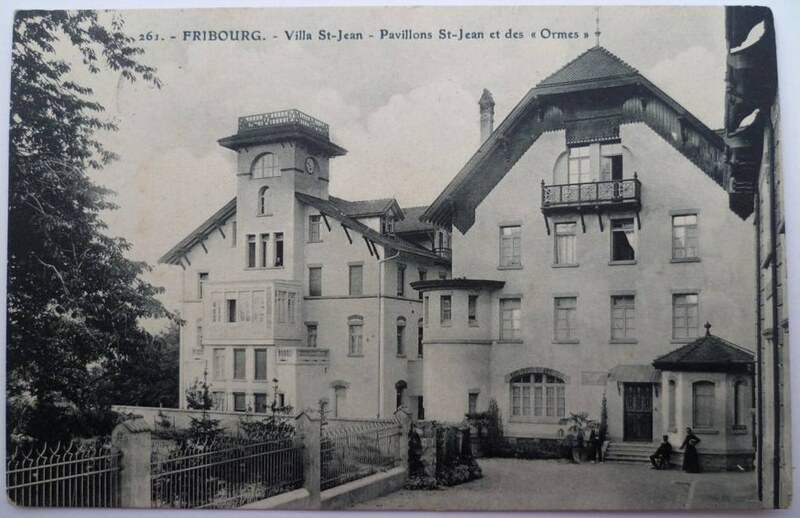 Yet, despite this ability to adapt and change, like so many other boarding schools in Switzerland at that time, Villa St Jean, the last all-boys boarding school in Switzerland, was ultimately unable to weather the changes of the late 1960s, and it closed its doors permanently in 1970. 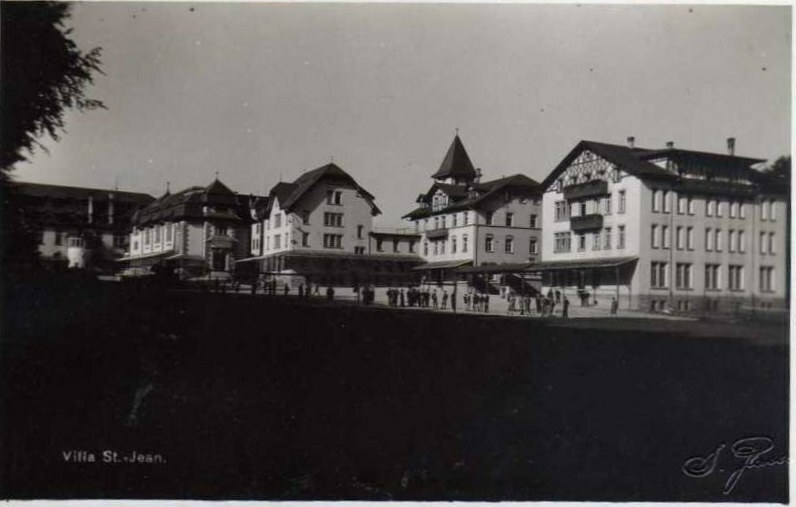 Despite their architectural and historical significance, most of the campus buildings were razed in 1981, a travesty that would not have been permitted under more recently enacted Swiss architectural preservation laws. 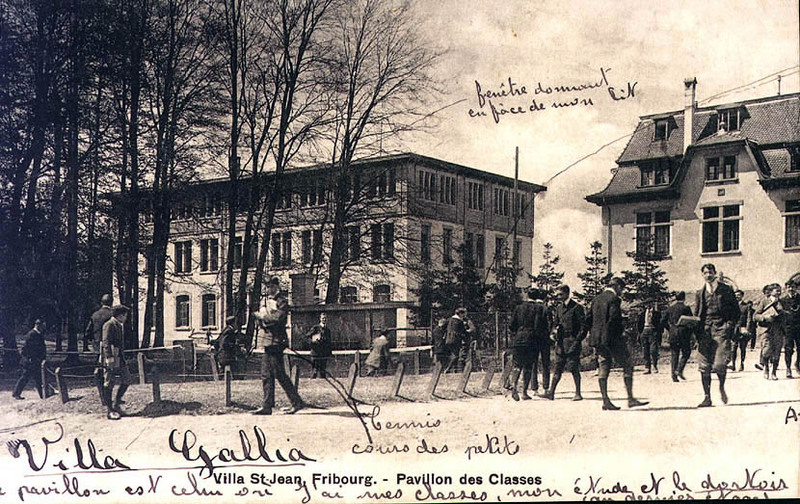 Following the decision to demolish the Villa buildings in 1981, the only building that was left standing, apart from a wooden-roofed outdoor basketball pavilion, is Gallia Hall, which served as the principal classroom and laboratory building. 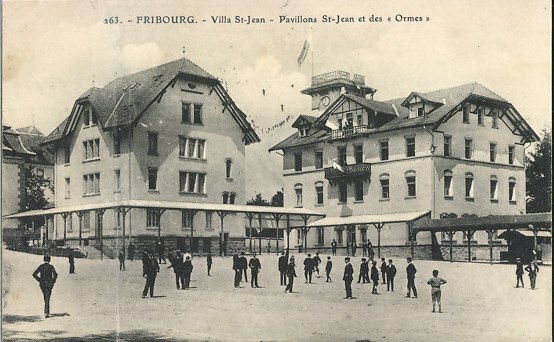 Now the former Villa St.-Jean land site is home of the Swiss lycée Collège St Croix. 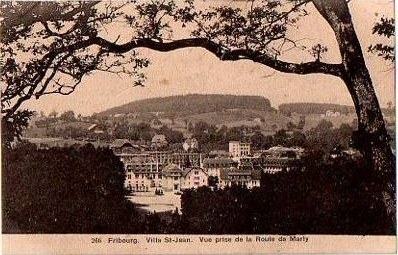 M. l'abbé Kieffer and the Early Days of Villa Saint Jean. 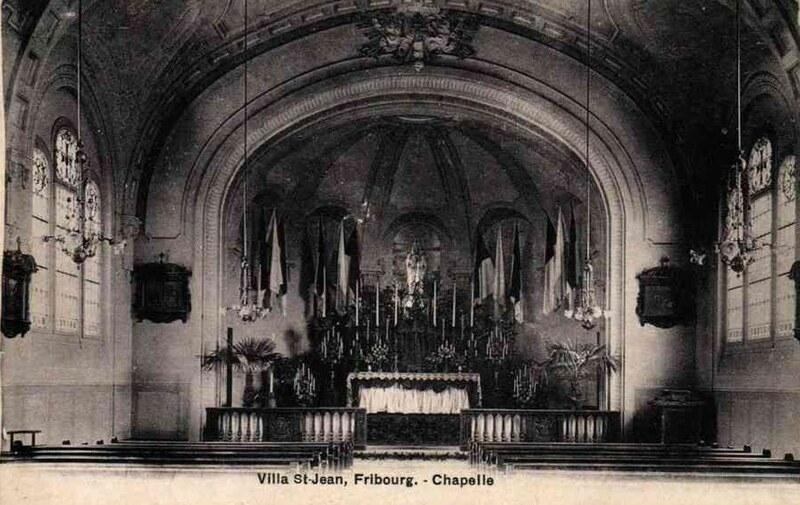 Villa student Kevin DiPalma writes; "From Sion, Father Bernard Truffer S.M. 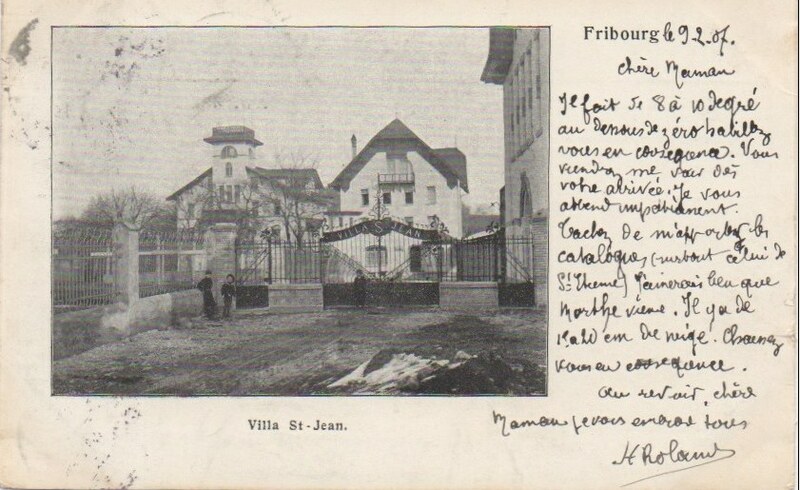 sent us copes of his own papers "that gives an idea about the foundation of the Villa Saint Jean, and the spirit and intention of its founder, l'abbé Kieffer". Kevin deserves full credit and recognition for compiling the material for this section on l'abbé Kieffer. 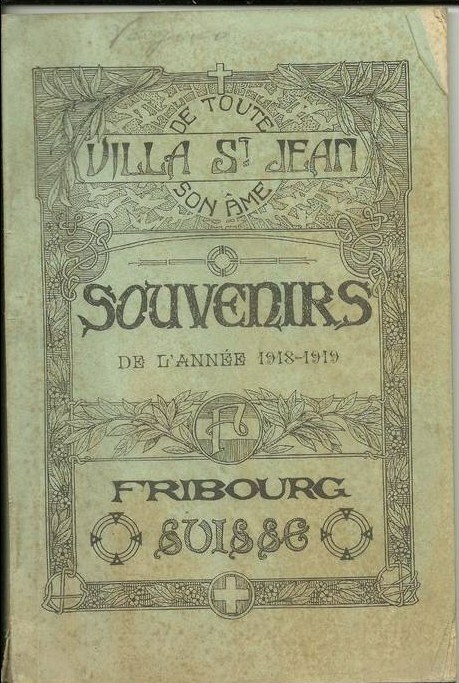 Villa student Stuart McClintock translated this material (from the 2 referenced books) from French. THANK YOU Stuart! 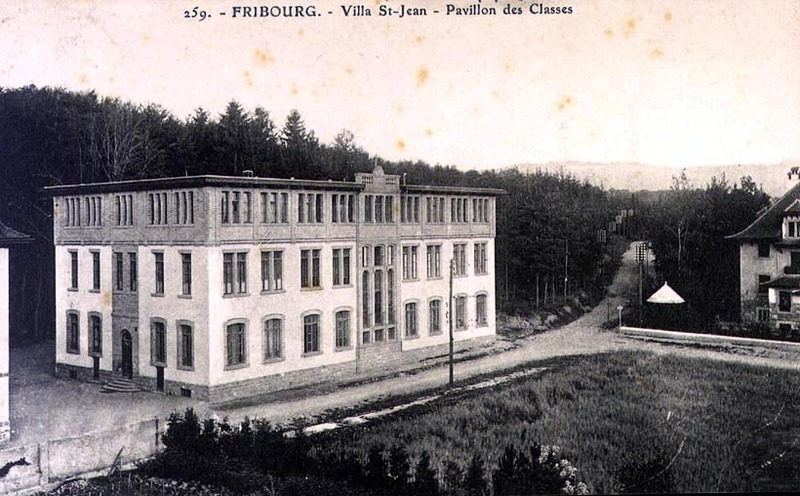 Father Truffer's thoughts on Father Kieffer's work, Education et Équilbre, (Education and Balance) includes a nice description of the Villa's early days. A. The setting: Let's visit the school and witness the work of the founder among students and teachers. 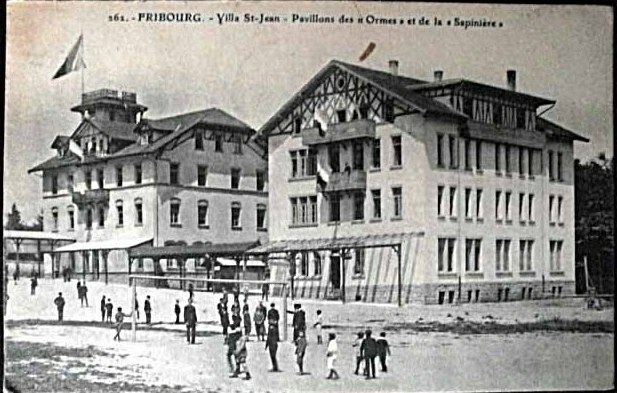 The opening of the new buildings was planned for 1903, but the evidence was clear: construction wouldn't be finished for the new school year beginning in October. 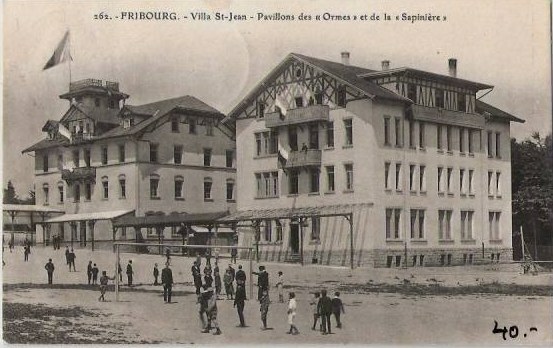 We had to make do therefore with lodgings on the Rue de Morat, and it was only in 1904 that the school took possession of its lodgings, or rather of its "villas", because the three divisions within the school from youngest to oldest are housed in completely separate buildings, all of which are charming and beautifully maintained, looking like chalets, pouring over with flowers in the growing season. 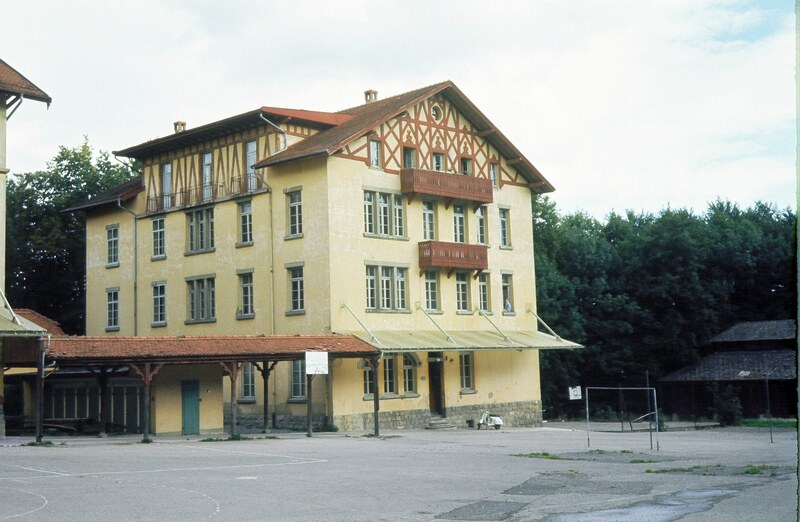 It really was the school described by the founder in his book "Authority in the Family and at School" (from p. 247 on), a place where home life was recreated as closely as possible. "I see a house, or rather a group of separate houses, situated among fields and forests like a nest in nature. We didn't consider building the fence first and then the buildings within the fence. Does one need to build a fence around a family home to prevent the children from escaping? Nothing separates the children from nature. There are real fields where dandelion flowers and daisies grow, not man-made playing fields laboriously maintained". There are real woods not a planting of trees following a set plan that would carefully control shadows during periods of recreation. From first light, one can hear birds singing freely in nature. During the day strollers and workers walking in the woods don't have the impression of witnessing a drawbridge or a ditch built to separate the students from the outside world. Sequestration that is jealous of the outside world can dull instincts if it doesn't make them worse. Their sudden awakening upon leaving the school runs the risk of being overwhelming. B. 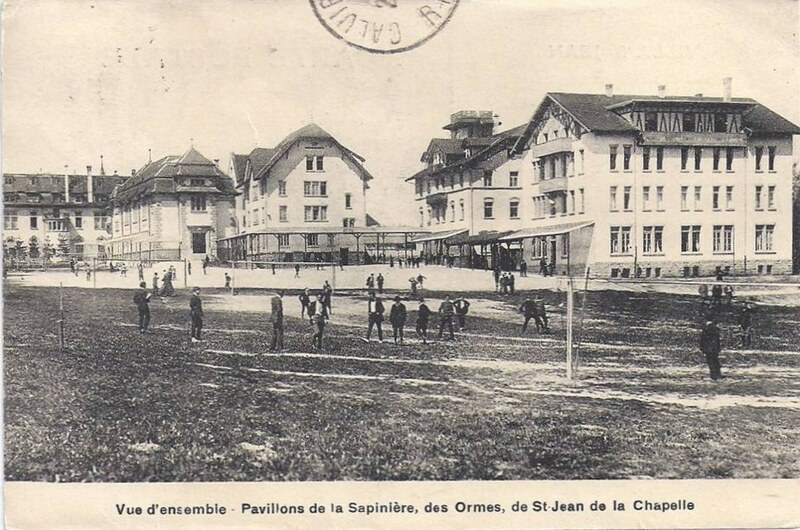 Sports: The names of the dorms themselves reflect nature: the Firgrove (la Sapinière), the Elms (les Ormes). During bad weather one can walk from one dorm to the other via a windowed arcade. 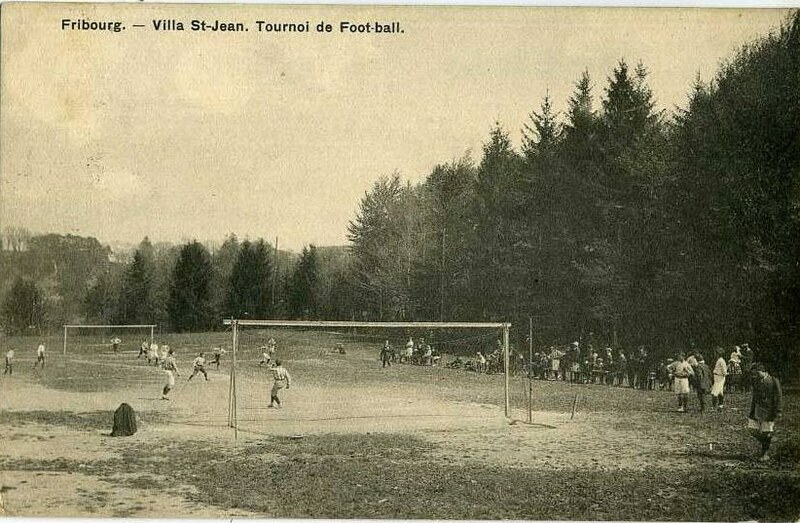 And the playing fields: these are the real triumph of Villa St. Jean! 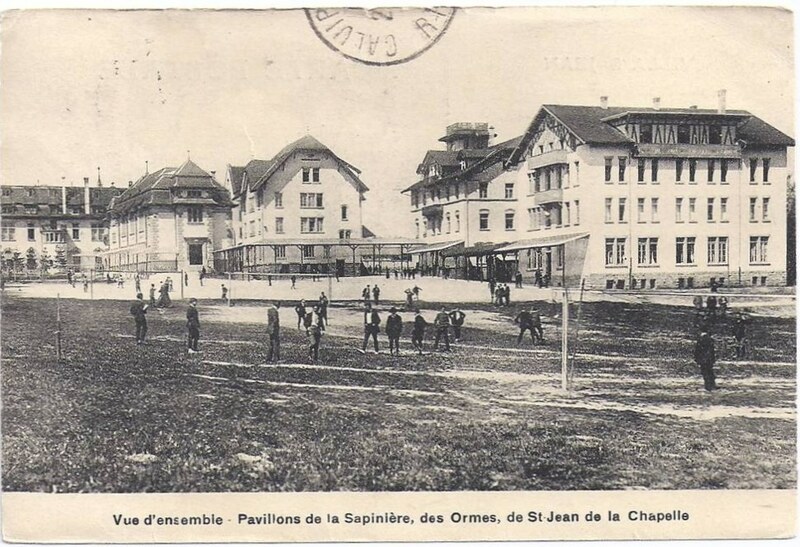 Two soccer fields and seven tennis courts over which games of healthy camaraderie reign, games which charm passers-by. 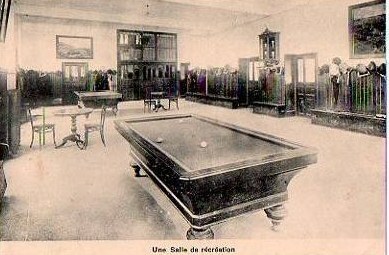 In bad weather students can pass the time playing billiards and other games. 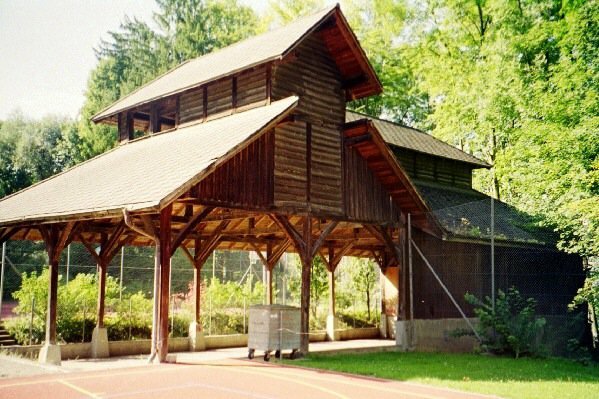 Older students can engage in sports even in bad weather thanks to a covered playground. In winter the neighboring woods with their gentle incline is the scene of dramatic sleigh and luge runs. Villa St. Jean has a wealth of choices when it comes to taking longer walks. During the games themselves the teachers and the director usually limit themselves to observing and advising. The teams are organized by the students themselves, and they choose their own captains. Time devoted to these activities is no greater than at other schools, but they are so well organized that the students maximize the time spent on them. 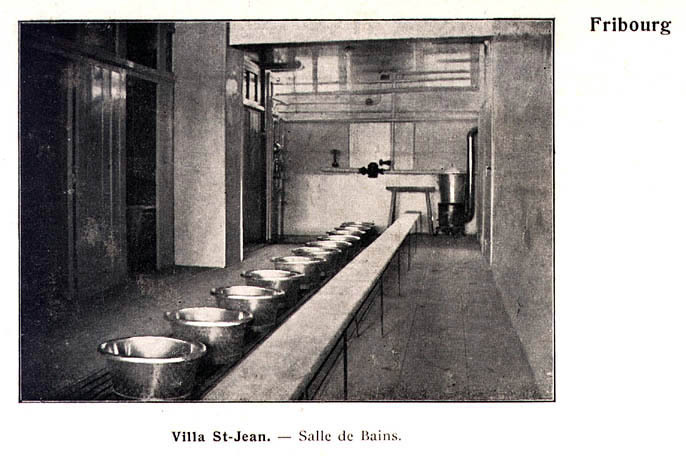 As one might expect, critics of Villa St. Jean exist. They think that so much time is devoted to sports that it is to the detriment of scholastic achievement. Success on state tests and the continuous rise in student enrollment are proofs in themselves of the school's achievement. The students themselves, wounded by unjustified criticism, defend their school and their teachers. The director finds in sport more than relaxation and health. Sports are a way to learn discipline, a sometimes painful learning experience, and a way to soften one's character. 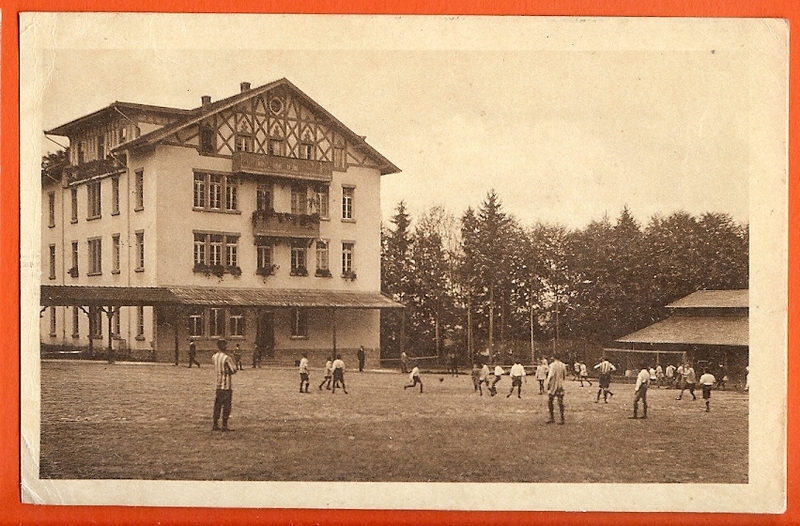 Father Kieffer took part in sports, playing soccer with the students when his health allowed. 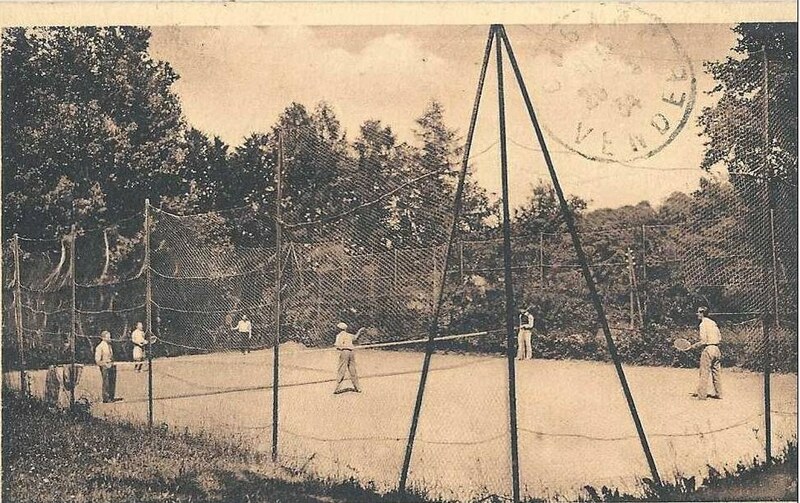 He would play tennis after lunch, if the doctor thought soccer too strenuous for his heart. 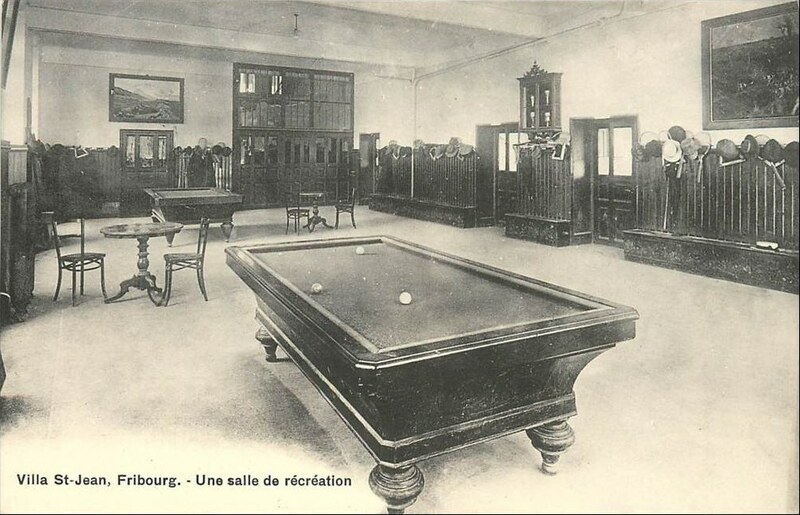 Later, he would limit himself to billiards for relaxation. We will have occasion to return to his idea of the place of sports as part of his idea of being active. 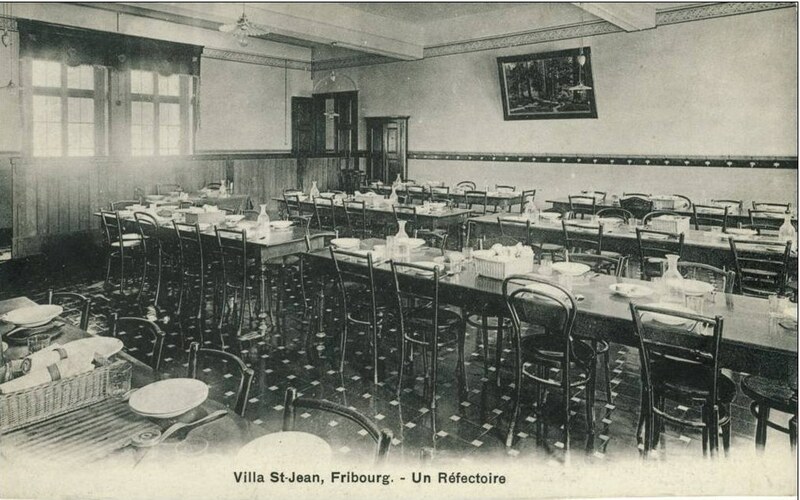 C. A plan based on trust: Let's stop to admire one characteristic of Villa St. Jean that makes it special: its system of trust between teachers and students that makes the school like a large family. 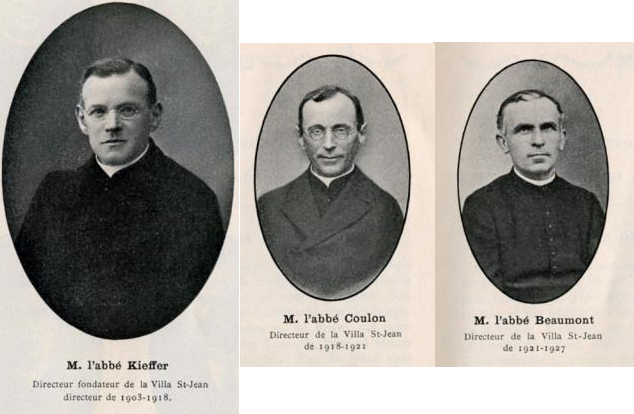 In Father Kieffer's first circular to his superiors, he paid hommage to his predecessors. 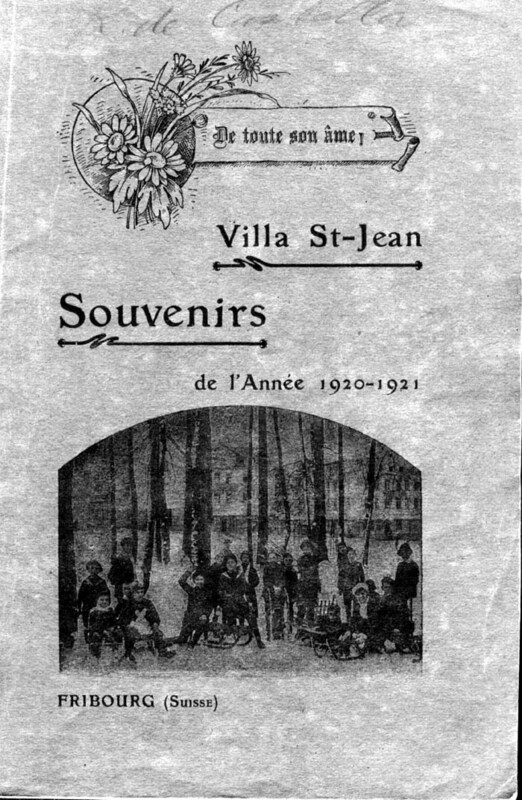 "Father Simler, he said, was my guide and inspiration as well as my support thirty years ago when Villa St. Jean was founded. The guiding principles which he left me then were education based on trust, trust based on conscience. I will also be mindful of the words he used in his last days to a colleague ‘Tell my successor when he is named that I admonish him to be good. Let him keep intact the treasure of good Father Chaminade and have the Constitution observed without fault. Let him be good.'" Notice from the beginning that Father Kieffer was a participant. He believed in affability and maintaining his presence as his operating philosophy. He was the father of his large family and even more often the mother. His presence wasn't intrusive, and the students knew that he neither distrusted them nor tried to catch them up to no good. Traps, lies, hypocrisy, and suspicion were all unknown at the Villa. If a student was scolded, he didn't go to bed that night without first shaking hands with the teacher who had punished him. Direct and clear looks spoke manifoldly of mutual trust. 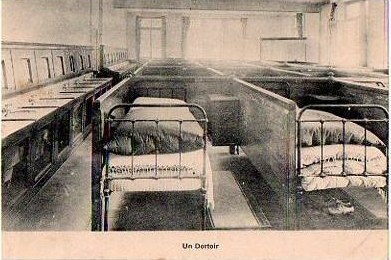 In "la Sapinière" dorm, especially deserving students had the privilege of a private room, ending potentially at the end of the month if conduct left something to be desired. One day Father Kieffer said to one of these privileged students who needed to be punished, "I have to withdraw my trust in you." The guilty student made a superhuman effort to maintain the director's trust and never had to be admonished again. This attachment of the students to their director made possible both his influence and the realization of the goals of the school. 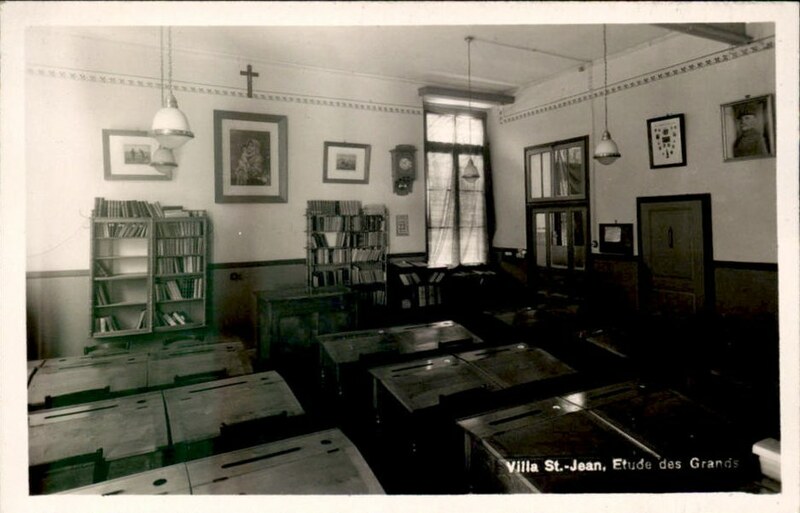 During the jubilee celebration of the school's founding, Father Kieffer in his well-known bonhomie tied together the hopes of the "new" school and the reality of Villa St. Jean. "It wasn't I and it wasn't your teachers who founded your alumni association. 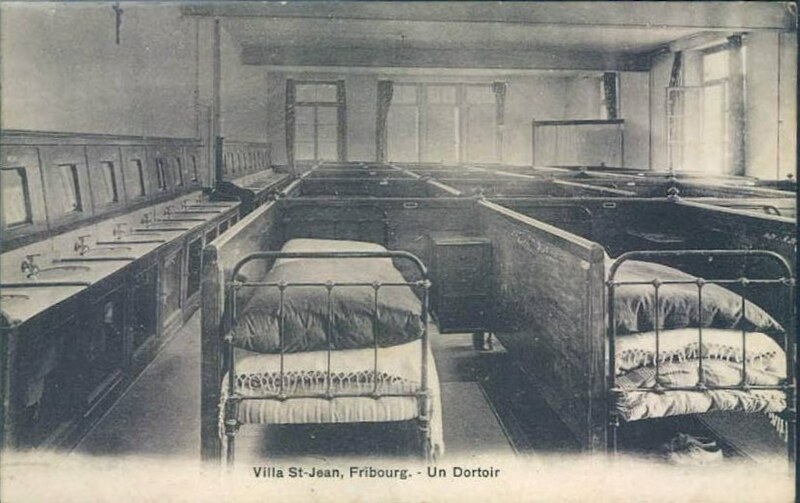 It was you yourselves, thus indicating that one continues to be from Villa St. Jean even after leaving and that one's departure is not a separation and is not definitive. 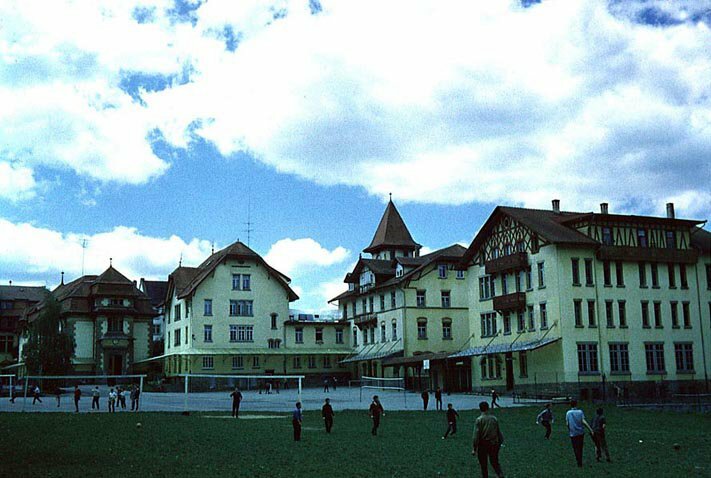 In a recent work, a pedagogue from Geneva, after proposing the latest thing ended by saying that maybe someday students would not hate the school of the youth. 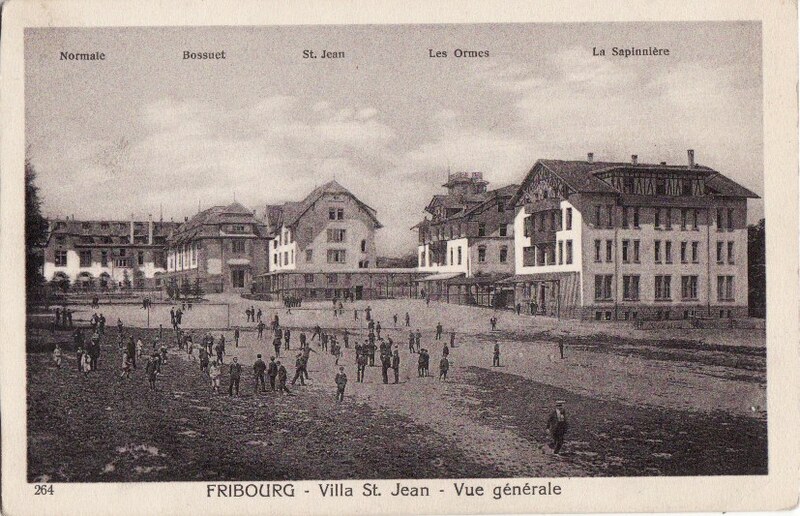 If this pedagogue had made the trip from Geneva to Fribourg, he would have found in the present and even in the past of St. Jean, men and children who not only did not hate the school of their youth but loved it, a little like the core of their being." Villa St. Jean students were proud of their school. Returning for the new school year, a mother accompanying her son was seen being questioned by a traveler who had recognized the school uniform. "Madame, is your son a student at Villa St. Jean?" The young man intervened by saying. "I have that honor, sir." 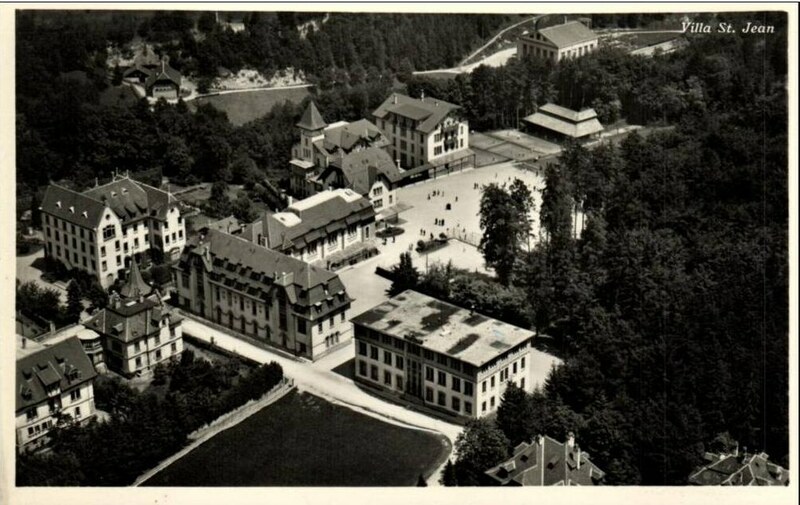 Tears and depression were unknown at the Villa when school began each year. Students left one family to find another. Returning students came willingly to this picturesque setting of the Villa where the welcome was so inviting and where they felt loved, where they could soothe their hearts because of encouragement from friends and teachers. These students plunged whole-heartedly into games, and one could enjoy the unusual sight of a father playing on his son's team, all umpired by the director himself. 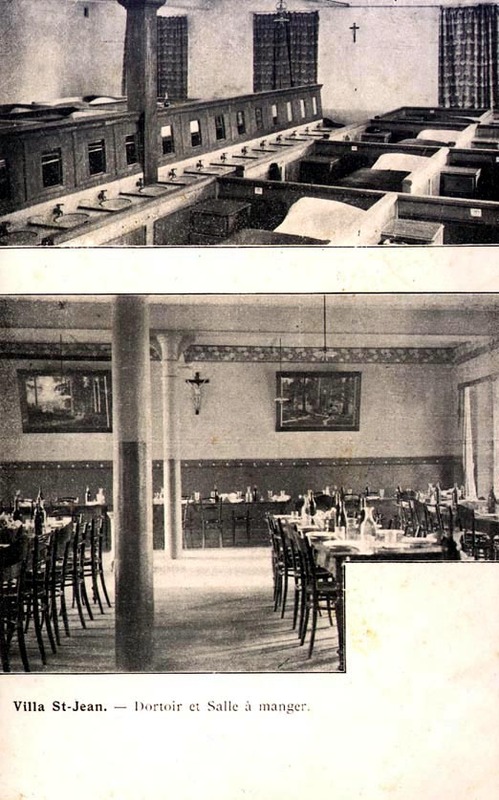 The first alumni association reunion was held September 27,1910. 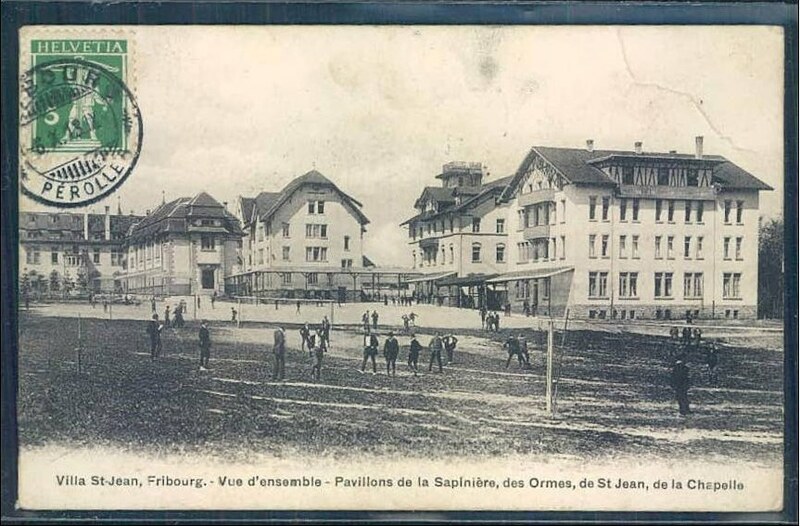 Every year during Pentecost, students from all over France and neighboring countries descended on Fribourg as if going to a party. It was good to revisit the setting of one's best years and to experience the director's welcoming smile, his youthful spirit, and his big heart. It was also good to see one's former teachers who were friends. At the twenty-fifth anniversary of the association, there was a brilliantly successful celebration attended by a large group of alumni: banquet, speeches, a parade across town, nothing was left out, not even a plane whose acrobatics accompanied the parade and which sent greetings of a most gracious sort to the alumni. An alumnus highlighted this feeling of family spirit which was like a spell during his years at the school. "In order to maintain the tight relation between formal schooling and our overall education, the teachers themselves oversaw the students' studies without the intervention of any special monitors. They mixed among themselves and helped create this family spirit so beloved by the director through their conversation and their spirit. Because of this continual interaction and the constant emphasis on conscience, loyalty, and honor, students were given extraordinary freedom, which once would have been considered excessive, to maximize the good coming from the development of character and the feeling of duty." D. Social education-academics. As we will see later on, Father Kieffer was interested in social education during his whole career. He tried to form men for the reality of everyday life, men who were energetic and with strong characters who could devote themselves wholeheartedly to the noble causes to which they would be drawn. Two parts of the school's program addressed these goals directly: gatherings devoted to Mary (Translator's note: this is my translation of "les congrégations mariales " which is an organization whose English equivalent is unknown to me. Later I call this group "The Society of Mary") and a sodality club for those in their last years at the school. The importance of sports in no way overshadowed that of serious intellectual work. Another alumnus shared this testimony regarding his beloved Villa. "None of my former classmates would disagree with me when I say that we worked as hard at the Villa as at any school in France. Even the lazy were obliged to work hard so as not to be rejected by the wave in which they were caught up". The school followed a university curriculum which Father Kieffer modified where he saw fit. A solid background in literature, topped off by the study of philosophy, always held pride of place at Villa St. Jean. When necessary, Father Kieffer would react against too technical an education. France needed good judges, faithful doctors and men of letters, all of whom should be inspired by thinking of a higher order. The sciences were however not neglected. Far from it! 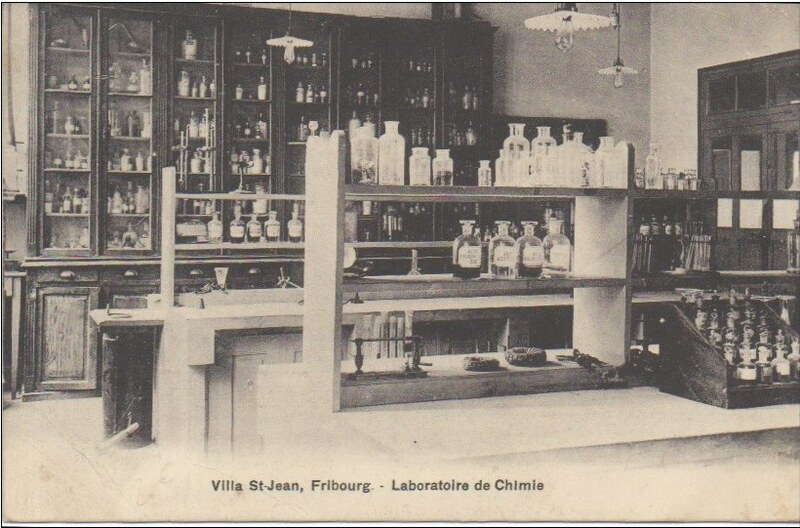 From the start, laboratories and scientific displays were carefully organized. 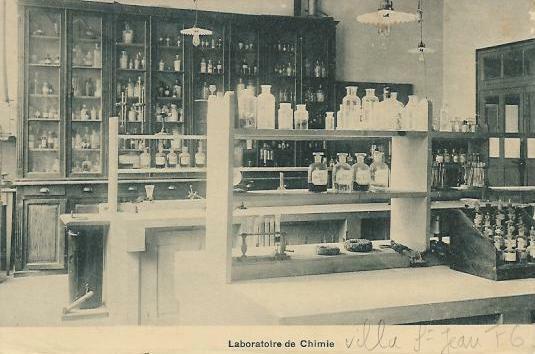 Thanks to those with special talent in the field, both theoretical study and its practical applications in the lab were always kept at a high level. E. Ties to alumni. 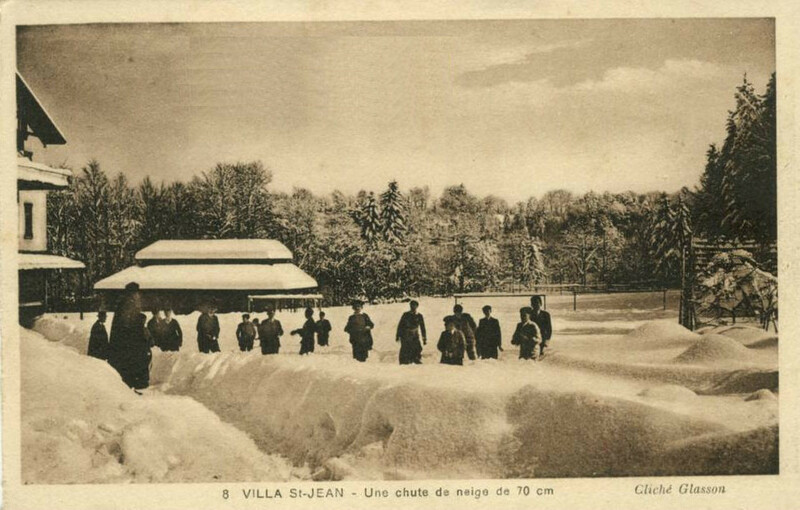 During World War I, Villa St. Jean remained open thanks to the director's efforts. Despite the threat of invasion and the obstacle of closed borders, families remained loyal. There was even an overflow of students. A good number of alumni were fighting at the front, and Father Kieffer would comfort them by sending letters that kept up their courage and lifted their hearts. At the same time he continued his work in education. 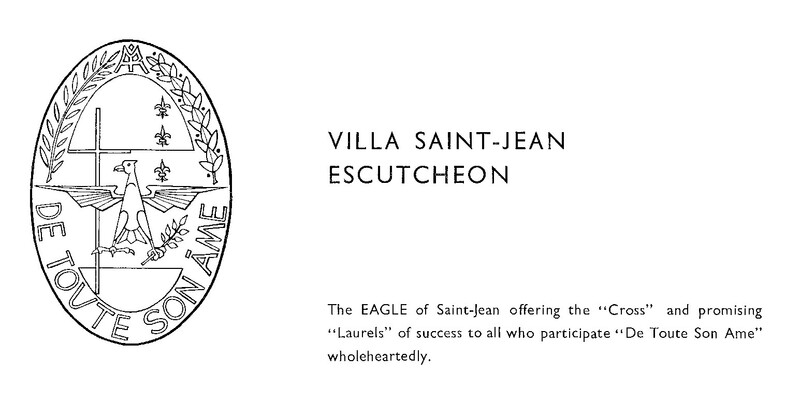 There were other steps the school took to assure the union of all hearts into the Villa St. Jean family. 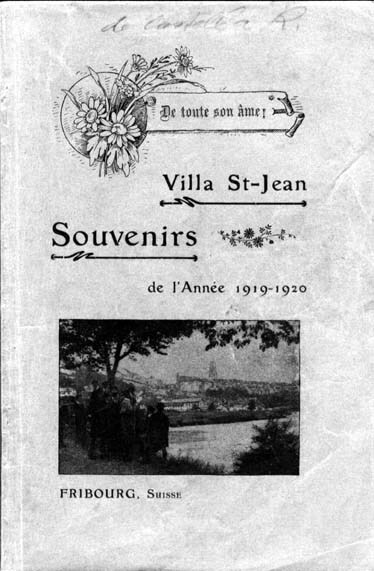 From 1908 on, les Souvenirs, a kind of yearbook, came out and was given to present students and sent to alumni. Each year's edition captured the day to day events of the school year. 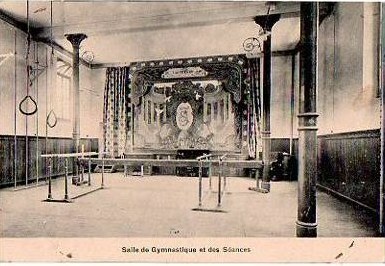 Clubs like the Society of Mary (translator's note: "les congrégations mariales" in the original), the Sodality Club, and the Academy of St. Jean as well as the sports teams all submitted a report of their activities to les Souvenirs. School news and prizes rounded out the contents, but the director's address was the pièce de résistance, always anticipated and read lovingly. It was the voice of the father and the friend who was talking to his sons. As he said in his own words, "he could not help but affectionately follow the various paths which they pursued." 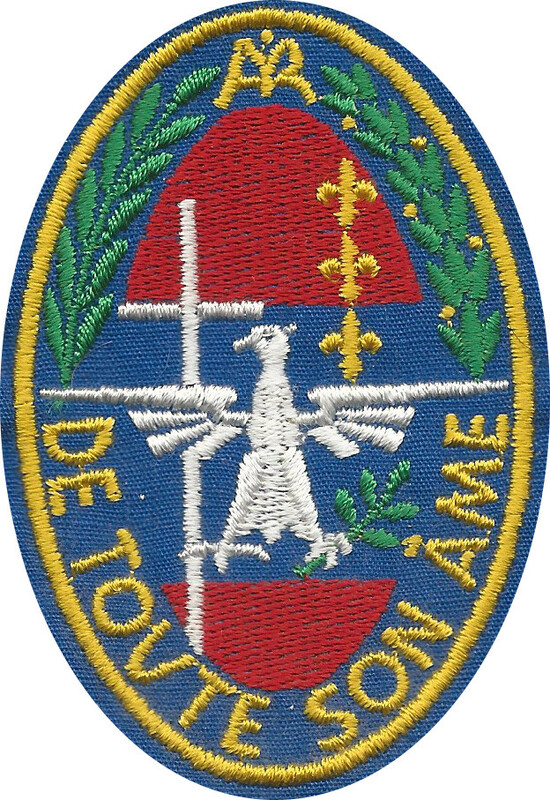 He spoke about the school's motto, "De toute son âme." He highlighted the projects undertaken by the students during the school year and gave guidelines for the summer. Nobody was forgotten. There was something for the soft, the selfish, the mockers, the unruly, the lazy, the snobs, the timid, those obsessed with routine, the troubled; that is, something for everybody, something for each to recognize in himself. Sometimes the director's address developed an idea, sometimes he supplied a subject on which each student could meditate during vacation. 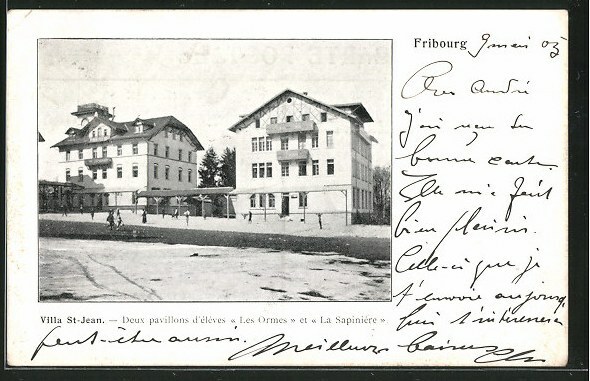 These are Father Truffer's notes on the book by l'abbé François Kieffer ; Authority in the Family and at School; Editions Beauchesnes: Paris, 1917.) Nice thoughts about the purpose of education. 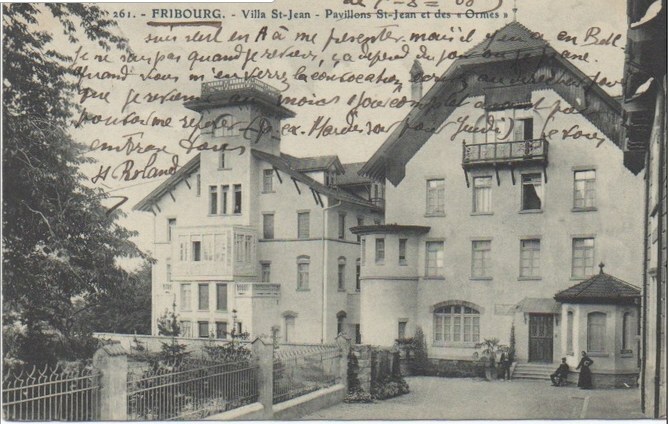 François Kieffer, Marianist Priest - Founder of Villa St. Jean in 1904 in the Perolles section of Fribourg. He who orders should have the feeling that he belongs to a whole, that his interests harmonize with those of the whole; he should empathize with the whole and only impose his will in order to be of service. Mastery of oneself: Complete mastery of oneself enables one to lead others. A child cannot be understood in the same way a book can be: in order to know him, one must live his life, empathize constantly with him, and, because of this empathy, one can feel what he feels, experience his moods, guess where he's heading. Respect the child: we always owe him the truth, although we don't have to tell him all of the truth; it's a question of tact and discretion. Love the child: One must love children as they want to be loved; one must love them for what they themselves want to, can, and should become, and not only for what the Holy Spirit wants for them. If the child hates the school because to him it is a box, one has to find a way to make the school so it is least like one. One must make the school into a welcoming home where the child can quickly feel at home. 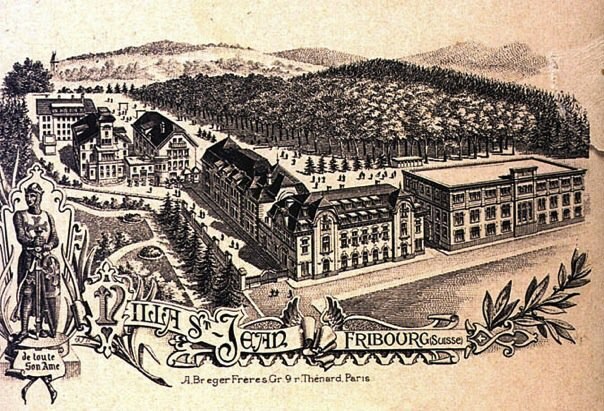 One must avoid "industrializing" the school; that is, one must avoid organizing it around the principle of housing the greatest number of students at the least cost. The sense of responsibility: Each child would like to be a young man and each young man would like to be treated like a man. One gradually learns to take seriously their nascent aspirations and to treat them as if they are what they want to be. The spirit of initiative: it is the educator's responsibility to find a way to give birth to and foster the potential of the child; to develop strength and perseverance, decisiveness and clearness of vision, audacity and healthy originality. To do this, children must be exposed to numerous varied opportunities. Wikepedia Villa St. Jean International School Comment: most of Wikepedia Citation links are broken. 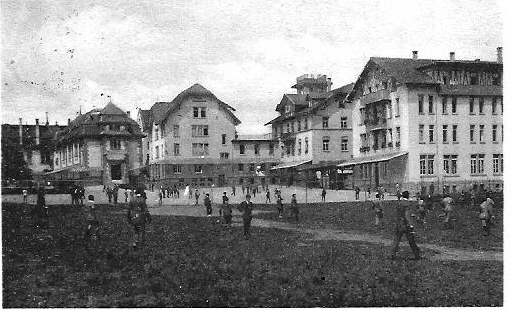 Page 6 of Villa BLOG :Topics: The Villa during the war…. 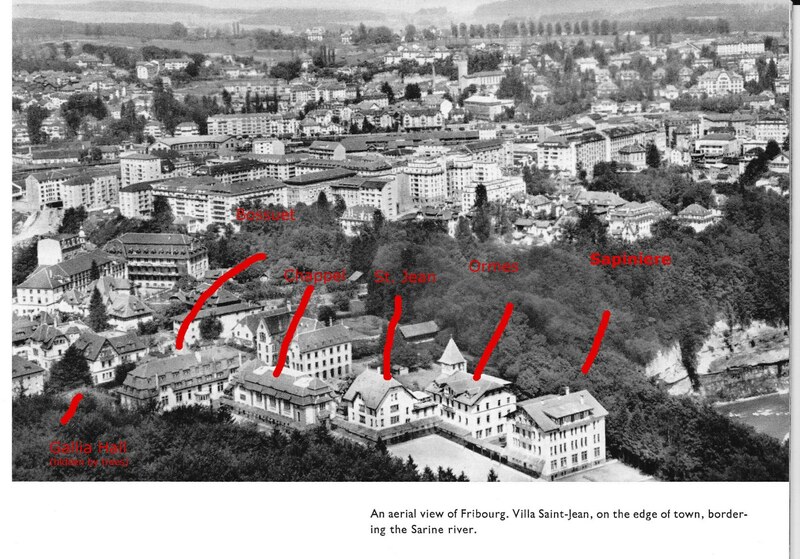 ; Guillermo Villa Fort (vsj ’68) ties the knot…; Lawler, titan from class of ’68, races the Alps…. ; VSJ alumni tour the American West…; Dorrance elected to Hall of Fame; Mr. Di Palma’s curious business in China; VSJ web-master wanted! 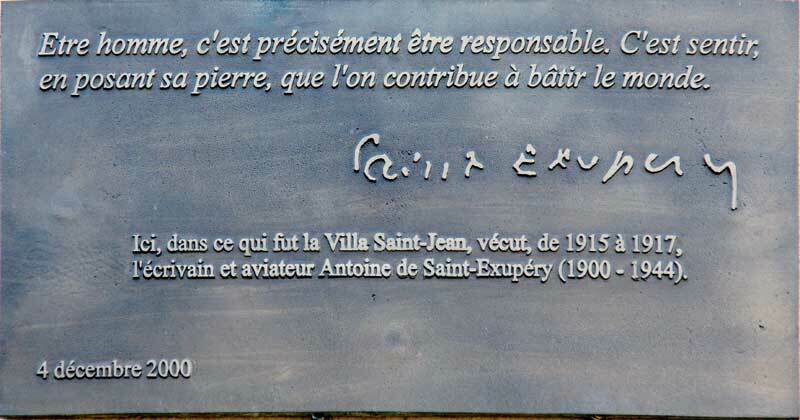 ; New York Times on the Saint-Exupéry mystery..; À la recherche du temps perdu …; New revelations on the disappearance of Saint-Exupéry! FLICKR Villa PHOTOS "réunion de Lapoutroie des 2-4 septembre 2007"
The Marianist Family Necrologium S.M.